Well…not really. This is an old, long-standing internet joke of unknown origin. I was bored and decided to illustrate this joke in my own way. Please share and enjoy! Inspiration: A funny cartoon of genius Albert Einstein in front of a chalkboard. 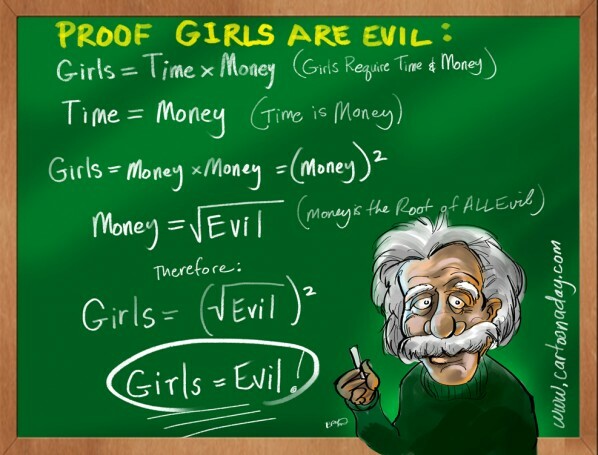 On the chalkboard is a formula proving girls are evil.